The Square 4-Post Freestanding Gantry offers all of the flexibility of an X-Y Gantry System with no requirement for permanent installation. 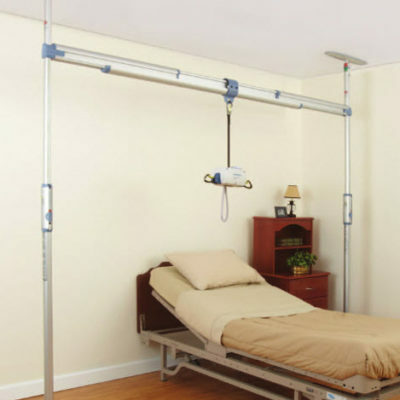 The Square 4-Post Freestanding Gantry can additionally be used with Fixed or Portable Ceiling Lifts. Call 604-821-0075 or request details about the Square 4-Post Tier Lift System using the form below. Question about the Square 4-Post Tier Lift System ?